Jesus sent his disciples out to reach Jerusalem (their local city), Judea, and "the uttermost parts of the world" with the Gospel and the love of Jesus. Following the same command today, Calvary Chapel of York reaches out to the local community through means such as weekly and monthly street evangelism, outdoor concerts and worship services, sports clinics, and food distribution. Every summer we host a week-long “Festival of Life” outreach to the local parks around our church, serving food and snacks, providing fun activities for the kids, arts and crafts, entertainment and most importantly the Gospel. We are involved in other opportunities as the Lord directs. Billy Graham Evangelistic Association is an international organization that focuses on evangelism and provides disaster relief worldwide. Rachel Woodcock is a missionary sent from our own fellowship to Treviso, Italy. She serves at the local Calvary Chapel in Treviso and participates in local outreach including music ministry and serving in the local school. Far Reaching Ministries trains and deploys chaplains to serve in the South Sudan Army. New Life for Girls is a local ministry that assists women with addictions and trains them to re-enter society in a productive role. In Calvary's Care assists children in the Dominican Republic community of Barahona with food, clothing, and medical supplies. 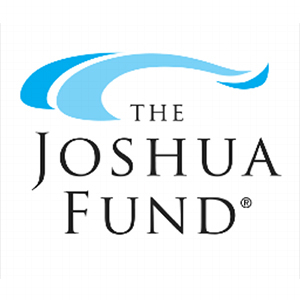 The Joshua Fund provides for poor and needy Jews, Muslims and Christians in the epicenter; trains and encourages pastors and ministry leaders in the epicenter; and mobilizes Christians around the world to bless Israel and her neighbors in the name of our Lord Jesus. Every Saturday morning the ministry team shares in a time of Bible study, worship and discussion bringing a message of love, hope, encouragement and the Gospel to women incarcerated at the York County Prison.